The Animal Kingdom is a unique playground that combines hours of playtime fun with educational tools. This inflatable game, designed for ages 3 to 5, offers counting, quantity, color coordination, orientation, professions, and safety activities, to name a few! 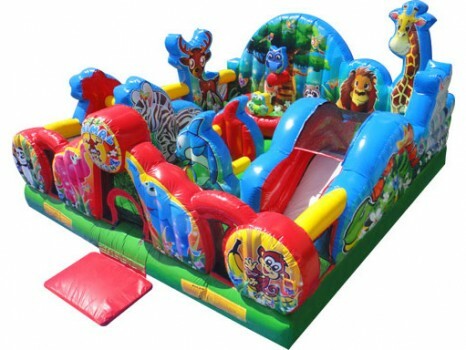 A fantastic Elephant entrance takes kids inside, where Dolphins and Zebras greet them, while three-dimensional components like Frogs and Birds, round out the theme. Artwork with everyone’s favorite animals can be seen on 360 degrees of the outside walls.